1.This machine equips computer orientation, photocell tracking, and man-machine interface touch screen operation; adopts high wave band ultrasonic heat-combining elements; make up of the functions with bag mouth inner folding, ribbon-through, stiletto, ultrasonic heat-combining cold-cutting etc. 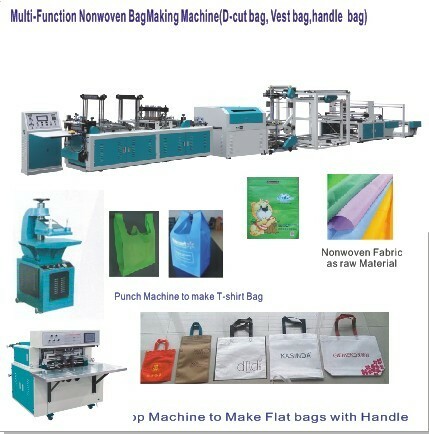 2.It’s the advanced machine to produce kinds of non-woven fabrics handle shopping bag, shoes bag, fashion t-shirt bag 15-50g. 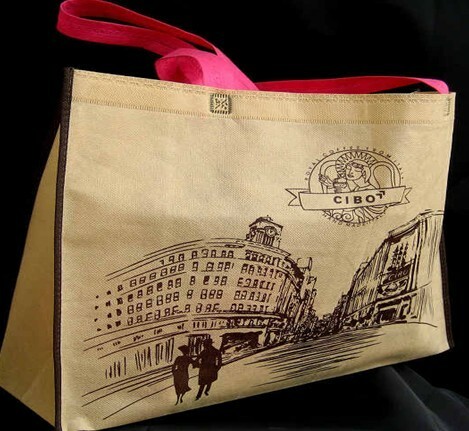 Our company also can make the given design according to the customer’s requirement of different bag sizes. 3. 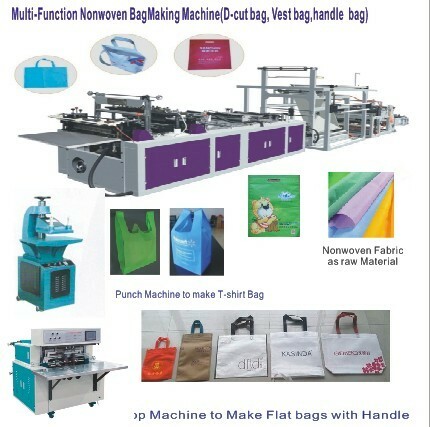 This machine can produce some different kinds non woven bagfrom 30 to 100GSM .Such as shopping bag,t-shirt bag ,bag ,d-cut bag ,handle bag,box bag ,shoes bags.